First, it was email that businesses sniffed at before emailing became so pervasive we can’t imagine doing business without it. Almost gone are the days of pointless phone tag, misremembered instructions, and cussing at the fax machine. Now, it’s texting that is proving its value in business communication, increasing efficiency and transparency. That’s why it’s a good time to talk about formal vs. informal texting and texting vs. writing emails. Emojis and emoticons are by their nature informal. They specifically serve the purpose of making sure that sloppy/quick writing doesn’t give the wrong impression that the writer is angry/upset. They are useful only when dealing with writing that doesn’t properly explain itself and for adding “cuteness” and humor to text-based communication. Business communication is about money, and we should never be sloppy, cute, or humorous about money. Smiling/laughing/winking faces (let alone that eggplant) have no place in business writing. While these first two issues are pretty obvious once we appreciate the need for formality in business writing, there are times when it can be difficult to judge which format is better for the content we want to communicate. 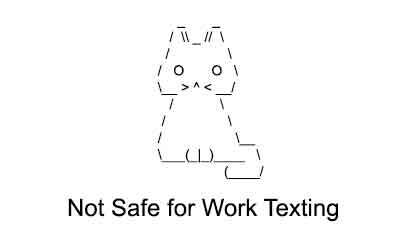 Texting is vital when your recipient needs information quickly and may not be next to a computer, but be sure you’re not texting at an inappropriate time. I’m exasperated by people who text me at all hours with the attitude that I can get to it whenever I want. Many people leave their phones, including their business phones, turned on during off-hours and when they’re sleeping in case of emergencies. Texting demands attention just like a phone call does. Treat it that way. Texting can also be appropriate for reminders, confirmations, and alerts. It’s ideal for coordinating, which is why texting has led to so many flash mobs. But keep that business language formal. Bad: Meet u @ 8 K? Good: The meeting is at 8 am. Please reply to confirm. Do not text when the topic is sensitive or complicated. Do not text when negative information has to be communicated, particularly when dealing with a person’s performance. Do not text confidential information. Email has several advantages over texting, all of them obvious in terms of the ability to explain better, frame issues better, control tone better, and typically incorporate greater care and thought. If there’s a chance a quick text is going to be misunderstood, email. Take time to revise and proofread carefully. (A typo forgiven in a text may offend in an email.) Use the space to make sure everyone’s got the right information. Is there a chance the reader of this text won’t know exactly what I am talking about? Is the reader of this text anxious or confused? Am I going to have to send several texts to this person to bring them up to speed? If the answer to any of these is yes, email or phone.